For the second year in a row, Tempe Public Library will host an interactive StoryWalk® at next Saturday’s PlayDay event at Kiwanis Park. Participants will follow the Summer Supper storybook path while reading and engaging in activities from the book, including planting seeds and digging for worms. 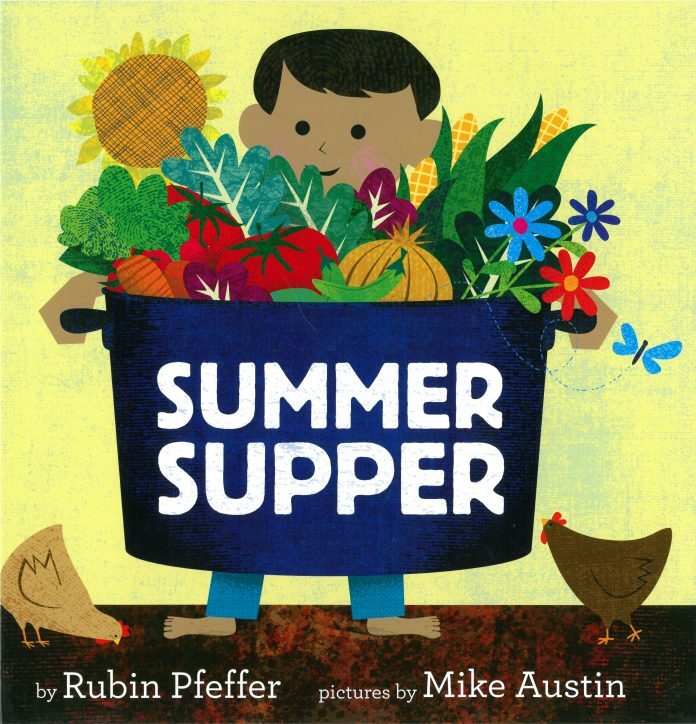 The story, written by Rubin Pfeffer and illustrated by Mike Austin, details the food cycle, from planting and gardening to sharing the bounty with family and friends. PlayDay is on Saturday, Feb. 23 from 10 a.m. to 2 p.m. at Kiwanis Park, Mill Avenue and All-America Way. In addition to StoryWalk®, families can take part in sports activities, kayaking, dance and movement activities, inflatables and more. StoryWalk® is a national movement that brings books to life in the outdoors along park trails and pathways. Sequential, interactive displays are installed, encouraging literacy, reading comprehension, and quality family time as children and their parents walk through the pages of a book. Tempe Public Library unveiled its first StoryWalk®, The White Table, last fall at Escalante Park. The new book, Summer Supper, will be unveiled this spring. This project is supported by the Arizona State Library, Archives & Public Records, a division of the Secretary of State, with federal funds from the Institute of Museum and Library Services. For more information on StoryWalk®, visit tempepubliclibrary.org/StoryWalk. For more information on PlayDay, visit tempe.gov/PlayDay. Public Information Officer at City of Tempe.